Gavra Mandil and his family narrowly escaped death in German-held Yugoslavia by fleeing to Italian-occupied Albania. 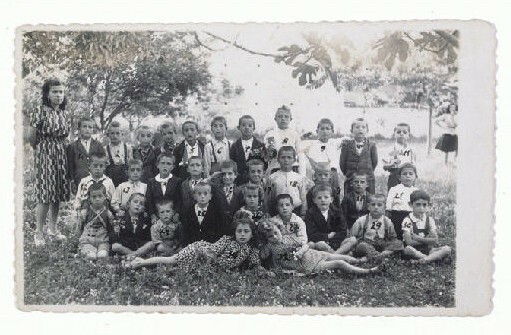 There Gavra attended a school in Kavaja that had both Muslim and Christian pupils. He is seated on the far right in the first row. June 1943.